The walk down the aisle is perhaps the most anticipated moment of your wedding. The pomp and circumstance of the wedding ceremony comes with a few expectations – bridesmaid and groomsmen pairings, bouquets, and – of course – the wedding march. However, it’s 2019 and “rules” are sometimes meant to be broken. Traditionally, the bridal procession strolls across the aisle with the wedding guests positioned behind them. But why not switch it up and face the audience of loved ones once you reach the altar. You might be wondering where your officiant would stand with this layout. The answer? Directly in front of you or in between you. And the best man and the honor attendant can join the lines of bridesmaids and ushers. Breaking away from the visually dysfunctional face-away set-up connects the audience to the bride and groom. Additionally, your guests will be able to hear you better since your voices are projecting outward. Meanwhile, your photographer will be able to take more dramatic, visually engaging shots from a variety of new angles. Of course, certain seats will always be reserved for the fathers and mothers of the bride and groom. However, consider letting your other guests mingle on whichever side they fancy. 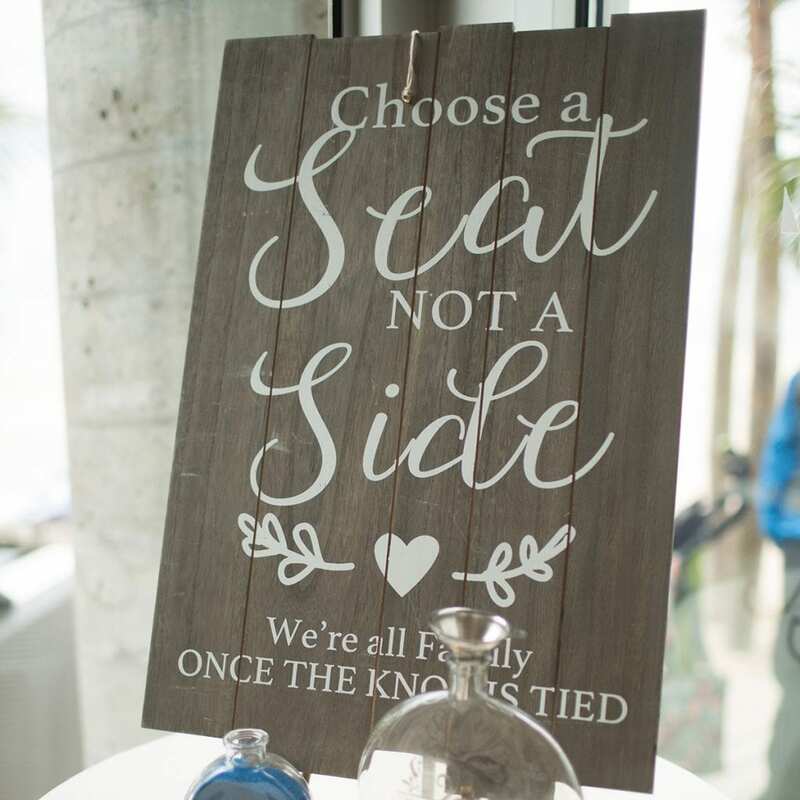 This is a great idea for couples with a disproportionate amount of guests. Empty rows are downright depressing. Instead of segregating, fill in the first rows of each side. This will ensure a balance for photographs and more comfort for guests. The idea of flower petals raining down on you from the hands of your loved ones is certainly romantic. However, coordinating this type of display can be a headache. That is why many weddings now feature DIY flower stations. Guests are able to pick out combinations of soft flower petals, which often match the overarching floral arrangements around the venue. Don’t worry about guests holding on to the petals during the ceremony. You can create your own paper cones for guests to fill up and hold while they are seated. You can also add a DIY sign or frame with instructions. And when the time comes to walk back down the aisle as a couple, you’ll be enveloped in a stunning display of floating florals – making for a perfect photo op. 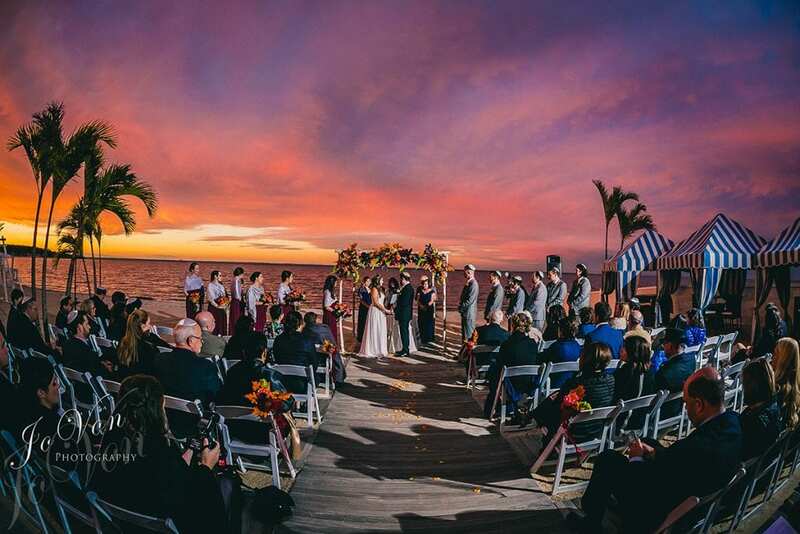 If you’re getting married at a beachfront destination venue like The Crescent Beach Club, why not take advantage of the spectacular sunsets? An evening ceremony has the potential to be unforgettably romantic and great for photos. The later time slot is also perfect for night owls who don’t mind a later reception. Have a unique idea for your wedding ceremony? 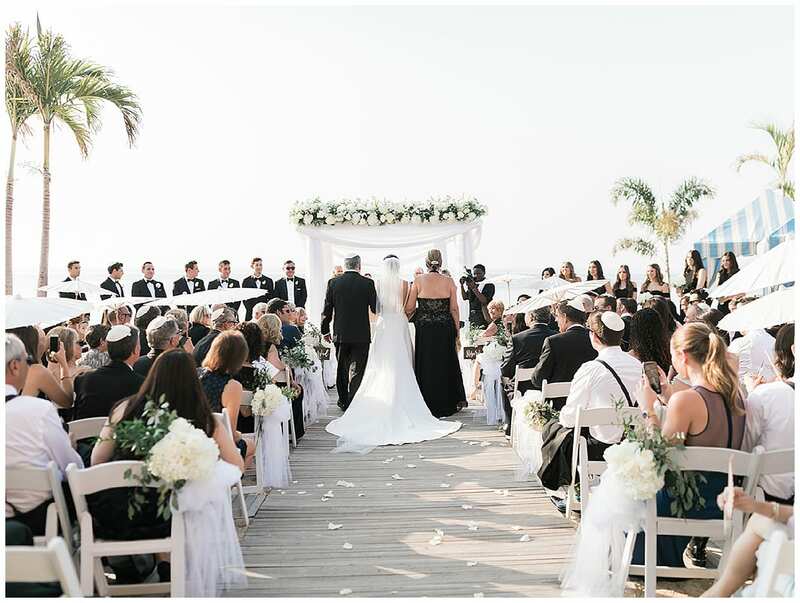 The Crescent Beach Club strives to accommodate each client’s vision to create their perfect wedding ceremony.